We have written to you for bringing to your notice and announcing that our firm, with the name of [XYZ Clothing Firm], located at (Address and city name) is being transferred to the new owner (New Owner name). The store was co-owned earlier by (Parson name), managing heads of the [XYZ Clothing Firm]. 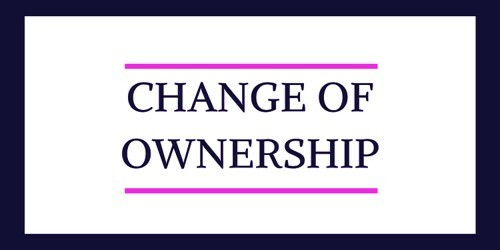 The change in the ownership would be valid from (Date: DD/MM/YY). (Describe in your own words). We intend to notify you, through this letter, that there is no modification of the management and policies of the store. We ensure you that we are going to sustain the repute and standing that we have managed to build for over 20 years (more/less), by assuring you that the supreme quality of products and top-notch services will remain the same. (Explain your achievements). We had to take the step of changing the ownership of the firm because (Previous owner name) is mentally and emotionally ill and unfit to continue being the co-owner but we ensure you that the sole-owner (Present Owner name) would handle the store with her sheer dedication and experience in the clothing industry. (Explain the actual cause and situation).